We are glad to introduce to you, one of our splendid Magento Back-end Developers: Stas. Stas and his wife (and most importantly, his cat Temka), lived in Belarus when we first came across his impressive CV. We managed to convince him that it is in London and most importantly at LogicSpot he belongs, and so Stas + wife + cat have been happy Londoners ever since. Stas has a considerable experience in working with Magento modules, in both development and support – leading most of the tech delivery for one of our favourite Magento extension providers Amasty! He is passionate about motorbikes and cars, with a bit of street/drag racing background, and is a big fan of Alfa Romeo. Anything else he really loves? We’ve already mentioned it; his cat Temka. 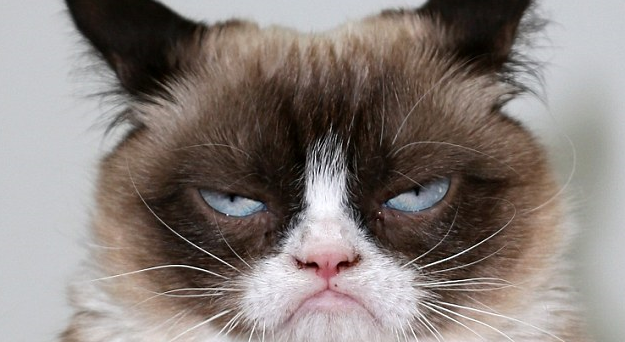 Oh, and you might be wondering what the grumpy cat is doing here. It’s Stas’ spirit animal, in the most positive way.